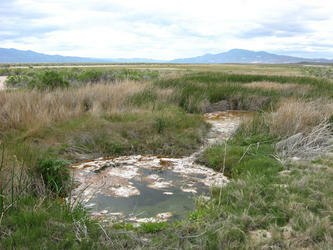 Casey Hot Springs are one of the random hot spots we have documented that is not in any books. The books probably don't include it because there is nothing soakable but it has potential. It also may be that the authors of the other books did not know about it because they always drove on the playa between Double Hot Springs and Black Rock Hot Spring, but if you drive the bumpy four wheel drive road you drive right past these little hot pots. The video we have was taken just for fun to show how bumpy the dirt road is and we happened to drive past the hot springs. 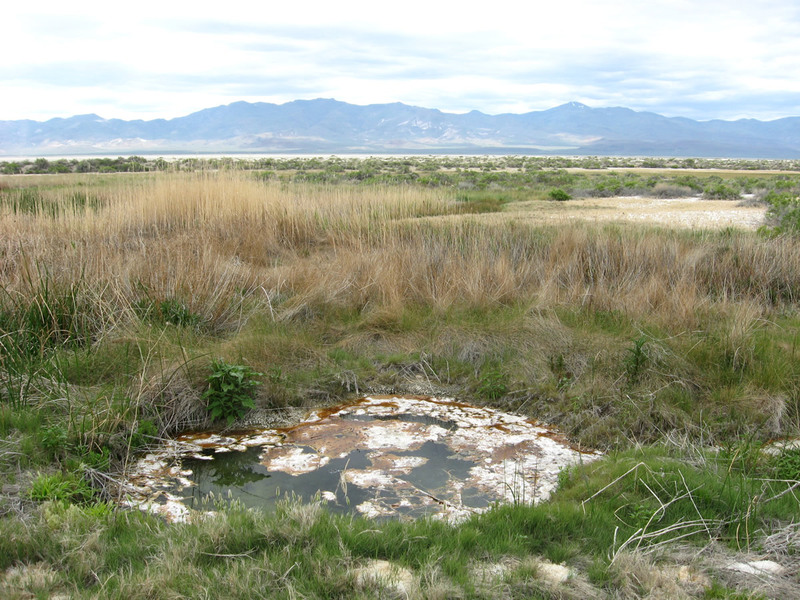 Casey Hot Springs is a line of silty death pits where the water bubbles up from the bottom. There are a total of five to ten hot pots ranging from 2 to 6 feet in diameter and several feet deep. We couldn't get a good temperature reading because the ground was mushy around the springs but we could tell they were very hot. This is a very random spring but we like to explore and document all geothermal locations! Submitted by Sarah Jones (not verified) on Tue, 2016-11-22 00:30. Nice article. I didn't have the knowledge about Casey Hot Springs.Thanks for the information.Want to visit this hot springs once in a life time.New National Party also takes you to the world of unique political party policies. Submitted by Innovative Thoughts on Mon, 2016-11-21 00:39. Submitted by ManuelWatkins (not verified) on Tue, 2016-11-08 23:15. Casey hot spring is one of my favorite spots in the region. After spending sometime in the springs, my body resumes its proper functionality. The water is reasonably hot and eases off the pressure of the body. i really love hot springs. Submitted by yasminkurdi (not verified) on Fri, 2014-08-01 02:01. Submitted by Anonymous (not verified) on Sun, 2014-07-27 04:33.